Expanding the ever-evolving Warframe Solar System once again, the new Update — Tubemen of Regor –offers PC players a wealth of new gameplay, weapons, customizations and more. Additions to PvP Conclaves include new Game Modes, Mods and Maps. Three new weapons also add further diversity and power to the Tenno arsenal and Nightmare Trials pit players against extra challenging new enemies with gameplay tweaks and traps! NEW TILESET: Explore the Sealab, hidden away in Uranus’ vast ocean of helium, methane and ammonia. BOLTACE – An intimidating Tonfa set designed to match the design of the Boltor. DAIKYU – It takes great strength to draw back, but provides added power and range. ATOMOS – This particle cannon generates condensed beams of super-heated plasma designed to melt rock to ore, and enemies to molten slag. NEW TRIALS: Nightmare Trials are challenging encounters designed for experienced groups of Tenno looking for a new challenge. Harder hitting enemies, new traps and tweaks to each of the existing encounters in the Trials of Vay Hek push a squad’s coordination to the limit. CAGGRO SUGATRA – Expressing the martial finesse and skill of its master, the Strekk Sugatra is based on a Grineer design. ADVENTUS ARROW SKIN COLLECTION – A collection of unique arrow skins compatible with any bow. Includes the Cattaril, Sylus and Meer Arrow Skins. Each Skin is also available separately for purchase. PC players can download the Tubemen of Regor Update today! PlayStation®4 and Xbox One players will receive this Update in coming weeks. 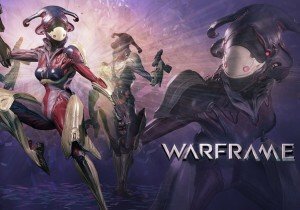 To learn more about Warframe, download the game and join the community, please visit the official website at: www.warframe.com.